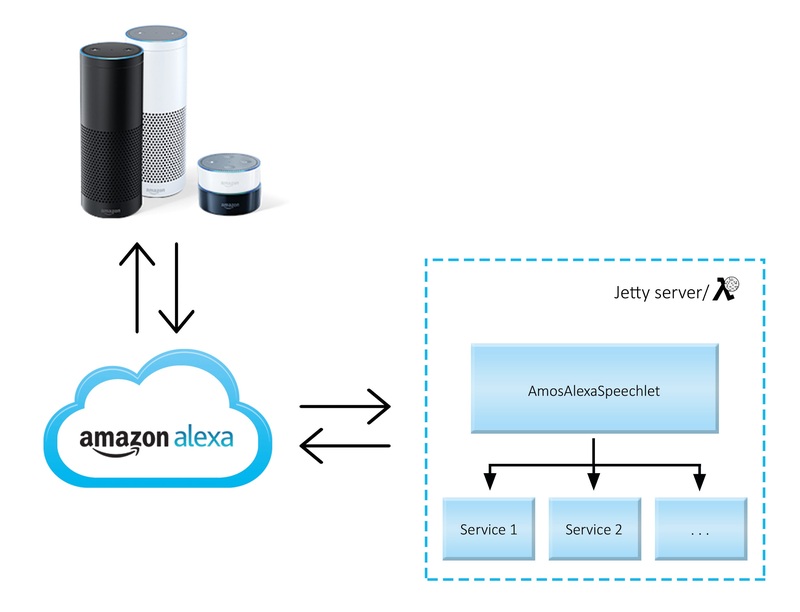 The mission of this 2017 AMOS project is to create minimum viable product (MVP) for Alexa with the financial extension. Core functionality will be to check bank account information like the balance, transactions, or the credit limits. Manage transactions, pay bills, manage spending habits grouped in categories, all through a secure communication are features that will be included in the MVP. Additional functionality like a smart financial component will be added to the product if the time permits. In a team of 2 product owners and 6 software developers we developed a personal financial assistant using amazon’s speech recognition hardware, alexa. Our implemented skill, is able to support the customers in their daily financial activities. Using speech, the customer is able to get information about the bank account status, transactions, stock shares and more. Furthermore, the customer can easily pay bills, send money to friends or create a savings plan. Our skill provides a tool to manage expenses in various categories like: auto, health or lifestyle, offering our customers an easy solution to track their spendings.